Samsung has been criticized for years on end for its plastic design that many found to be uninspiring and lacking that premium feel that consumers expect from a high-end smartphone. Time passed by and HTC, Xiaomi, Huawei, and most importantly Apple delivered gorgeous new metal smartphone that chipped away sales from the leading sales of Samsung, and last quarter the situation just fell apart when Apple launched its beautifully crafted iPhones. Just a few months on, and Samsung is ready with the answer: a ground-up redesign of its Galaxy S6 with a sturdy metal frame and glass on both the front and the back. How does the ‘next big thing’ compare against the Apple iPhone 6 Plus? We compare the two in an epic first look collision, read on. The Galaxy S6 is a lot about a renewed focus on design: it’s slim and lightweight, and it’s made of fine quality materials (metal for the frame and glass on both front and back). The iPhone 6 Plus, on the other hand, features an all-aluminum design and it’s a hair thicker than the S6: 0.28” vs 0.27” (7.1mm vs 6.8mm). With this new style, we can finally discuss design between Samsung’s and Apple’s flagships on the same level: both feel premium, made with meticulous attention to detail, and picking between the two is a lot about picking your favorite. 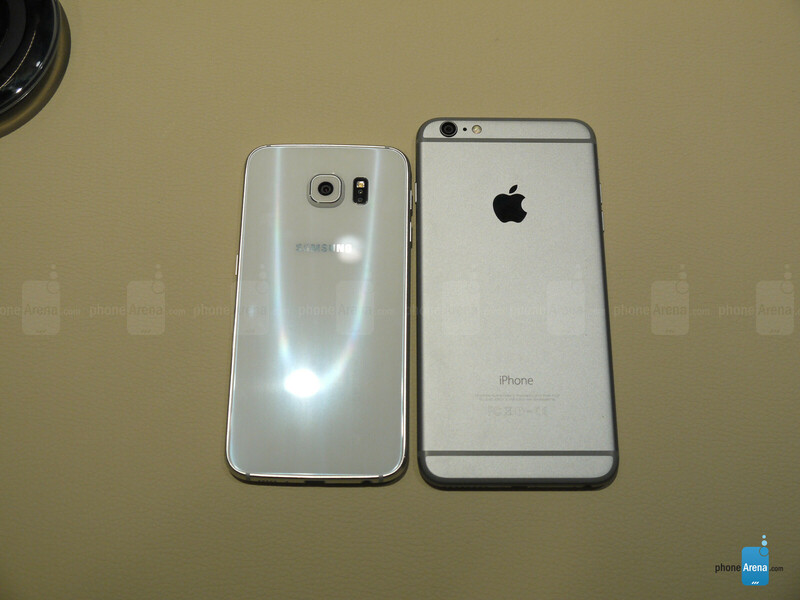 Interestingly, the Galaxy S6 also has a protruding camera with an even larger hump than that of the iPhone 6 Plus. It’s not something that bothers us, but it does make the device shaky when you lay it flat on a table. Since we’re comparing the 5.1” Galaxy S6 with the larger, 5.5” iPhone 6 Plus, there’s naturally a sizable difference between the sizes of the two devices. The iPhone 6 Plus is a wide phone, measuring 3.06”, while the Galaxy S6 is much more friendly to single-handed use with its 2.78” of width. 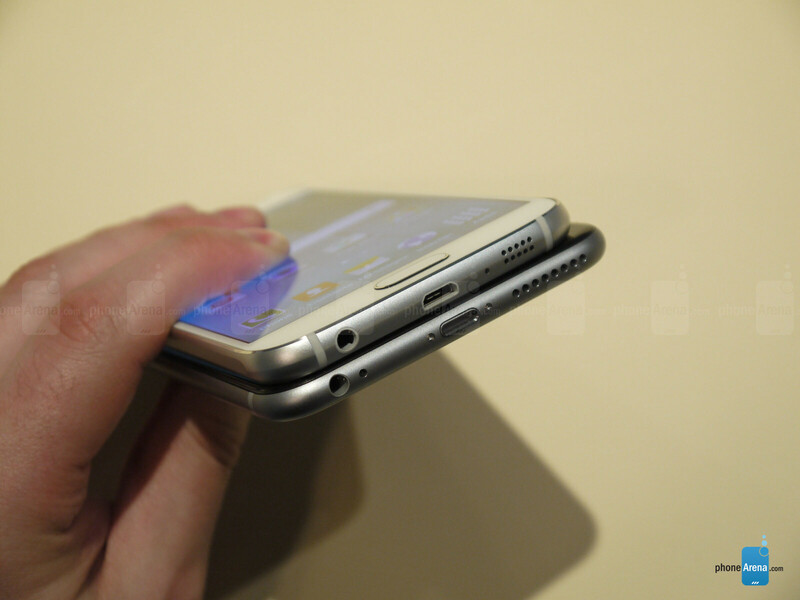 Apple’s phablet is also taller, at 6.22” vs the 5.65” of height on the S6. Samsung saved no superlatives for the screen of the Galaxy S6: it just plain put forth the claim that it is the best screen on a smartphone. It’s a 5.1-inch Super AMOLED screen with a 1440 x 2560-pixel (Quad HD) resolution, and Samsung has done some remarkable improvements to the brightness of the S6, saying that it can now go to up 600 nits, and while we couldn’t verify that, we can indeed see it being much brighter than before. Now, compare this with the 5.5-inch LCD display of the iPhone 6 Plus, coming with a resolution of 1080 x 1920 pixels. This works out to a pixel density of 401ppi on the iPhone versus the whopping 577ppi on the Galaxy S6. Samsung has one of the sharpest screens (if not the sharpest) we’ve seen on a phone. Can you really tell the difference between the two? We do notice a slight difference in perception. What matters more is color accuracy. The Galaxy S5 featured a noticeably greenish display with inaccurate colors, and good news is that - at first sight - the S6 improves on that. The iPhone 6 Plus, on its part, has very pleasing and accurate colors. We’re yet to run display benchmarks, but one thing seems clear - the difference in display quality is much less pronounced between Galaxies and iPhones in 2015 than what it was in 2014. Quite honestly, TouchWiz is the single area we’ve hoped the most to see improved, and - at first sight - the new version of Samsung’s interface indeed appears to run faster, which is great news. It’s hard to measure the exact difference, but it does seem to be there. Samsung has also trimmed the fat off TouchWiz making it less visually cluttered, and while the icons for things like dialer and messages are practically the same, others have been streamlined to look better. There’s still this cheerful cartoonish look, but it’s much less visually self-assertive. Apple’s iOS 8, on its part, is a skin that needs little introduction with its fairly smooth performance, user-friendliness and simplicity. The most important area where Samsung catches up here is payments. The new Samsung Pay will make a huge debut in the United States and Korea this summer, and it aims to use a more universal system that would grant it compatibility with more retailers. Samsung hinted that its new payment system would actually have a larger scope than Apple Pay, and demonstrated that using it will just require a swipe and tap on the finger reader, very simple. Let’s see how this plays out in the near future. The Galaxy S6 features a 14nm octa-core system chip, and it’s the first phone to come with a 14nm chip, according to the company. 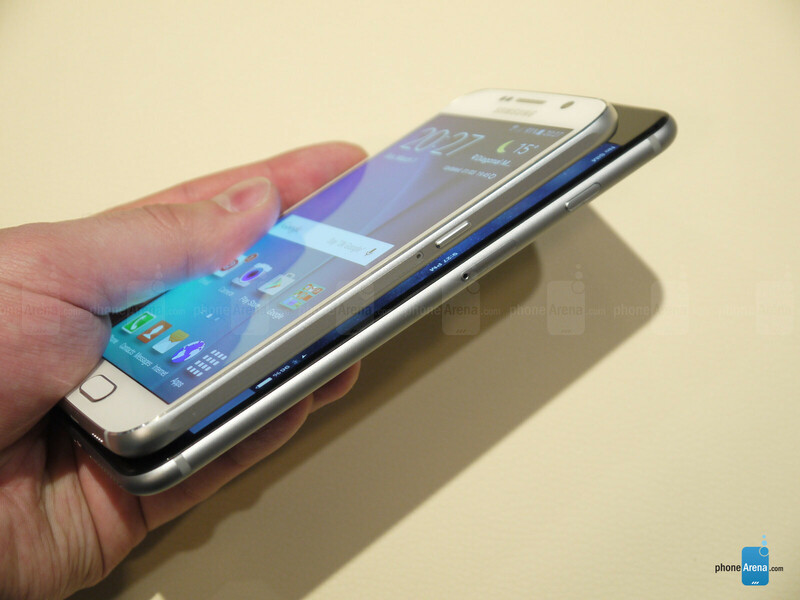 Samsung did not say that it is using the Exynos 7420, but all indications point in that direction. The CPU cores are four of ARM’s performance-driven Cortex A57s running at up to 2.1GHz and four battery-savvy Cortex A53s clocked at up to 1.5GHz. The iPhone 6 Plus, on the other hand, ships with Apple’s custom silicon: the Apple A8 chip with two CPU cores, but those CPU cores are much larger, which gives them their single-core-performance prowess. 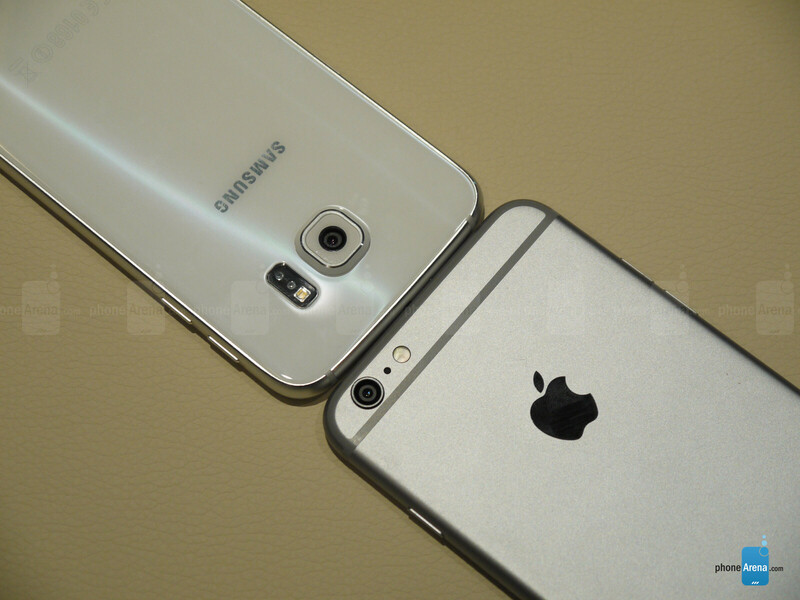 The Galaxy S6 outshines the iPhone 6 Plus hugely in multi-core performance, but the single-core performance of the two (that most apps will depend on) should be fairly similar. Good news is that with the Galaxy S6, Samsung does away with 16GB of internal storage and finally makes the jump to 32 gigs of internal storage in even the base model, while the iPhone 6 Plus still features a fairly claustrophobic 16GB. Neither device supports expandable storage (no microSD card slot on either). We also have a 64GB and 128GB models for both the S6 and the 6 Plus. The Samsung Galaxy S6 features a 16-megapixel main camera, while the iPhone 6 Plus has a sensor with half the megapixel count - an 8-megapixel one. Both feature optical image stabilization (OIS). Stay tuned for camera samples! You can see that the difference is mostly seen in music playback time, while for all else the official numbers paint a picture of the Galaxy S6 and iPhone 6 Plus being very, very similar in terms of their battery life. The Galaxy S6 might carry some similarity to its predecessor, but it is also a huge leap forward in terms of material quality, a big leap in terms of camera performance and a necessary improvement for TouchWiz. The battery life also seems well balanced. Samsung is clearly comparing itself with Apple, and we now feel that this comparison is deserved: the iPhone 6 Plus is different compared to the Galaxy S6, an all-metal phone versus glass and metal, but both features a high-end, premium feel. The 5.5” LCD display on the 6 Plus stands against a 5.1” Super AMOLED, but both deliver some nice colors. Finally, in the 8-megapixel versus 16MP camera battle Samsung has the upper hand in detail and it now does much better in low light. While we can’t name a winner, the battle is surely gonna be heated. My popcorn is buttered, and slightly salted. And your phone is jelly? Exactly, why would it kill its sibling. Explain to me, how a phone can be jealous? Not as salty as the Samsung haters are going to be. I'm not gonna hate on it at all, but just as you weren't impressed with the new iPhones, I'm not impressed with the S6's. The design of both is underwhelming, and the M9 is more impressive, I think I'll be waiting till 2016 to upgrade, as the iPhone's only get an internal upgrade. The new iPhones didn't blow me away either, but iOS is my daily driver. I'm not gonna do this little no life having, blind fanboy crap. The new Notes, iPhones, and Galaxy S6's all are solid good looking devices, that more than get the job done, but don't blow me away. The M9 looks better than all of them, but won't perforn any better. 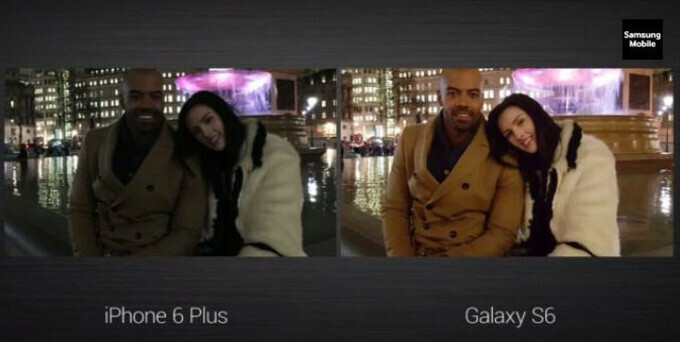 They all copy each other, and Samsung mos def used the iPhone 4, and 6 as inspiration in designing the S6. Bring on the hater comments, who cares, all they do is nag anyway. The similarities are there, and that's that. 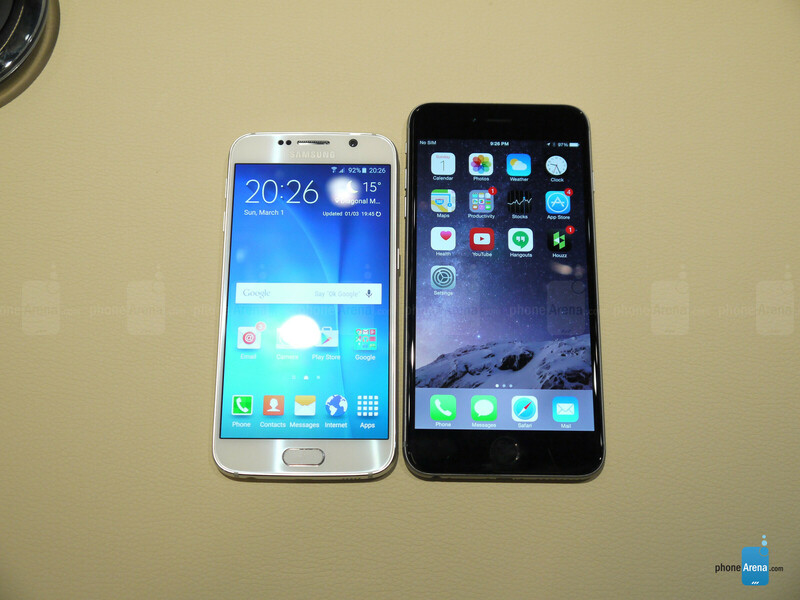 Samsung copied Apple with the GS6. Plain and simple. That would be the easy blind thing to say. But thats clearly not the case. If you looked at the previous Galaxy designs along with the Activ S, you will see where Samsung got most of it's design cues from. Definite design elements taken from it. I don't care what you think about Apple dude. Apple is a big greedy company, that makes mad bank, and to them I'm a nameless faceless customer. HAVING SAID THAT, GET LOST. You get lost, you silly idiot. Lol ok dude, just so you'll stop responding. Request granted. Holy s**t, just shut up. You mean how the iPhone 6 looks like a crossbreed between the HTC One and the Lumia 930?! Yeah I totally agree! That too, why care though? "The iPhone 6 Plus, on its part, has very pleasing and accurate colors.... the difference in display quality is much less pronounced between Galaxies and iPhones in 2015 than what it was in 2014." The iPhones haven't had accurate whitebalance in years either. Much too blue. The Note 4 (2014 phone...) does better in all regards already (including WB).